On Monday 19 December 2016, President Vladimir Putin had made plans to attend Woe from Wit, a satirical comedy on post-Napoleonic Moscow. The play is a classic in Russian literature. It was written in 1823, six years before its author – poet and diplomat Alexander Griboyedov – was murdered by a crowd of Islamic religious fanatics, when Ambassador to Persia. President Putin never made it to the theatre. Just minutes before leaving, he received a call by Turkish President Erdoğan. As an oddly morbid coincidence, Erdoğan conveyed the message that the Russian Ambassador had been assassinated in an art gallery in Ankara. The news made international headlines; the explosive image taken at the scene – featuring the gunman shouting ‘Do not forget Aleppo!’ moments after he pulled the trigger – has in the meantime been named 2017 World Press Photo of the Year. The incident serves as a reminder that diplomatic and consular agents still face significant occupational hazards. Being representatives of their home state in a foreign country, envoys are placed in vulnerable positions. Consequently, international law protects those exposing life and health for the greater good of the international office. Obligations to protect foreign envoys are among the longest-standing rules of diplomatic and consular law. Upon codification in the 1961 Vienna Convention on Diplomatic Relations (VCDR) and the 1963 Vienna Convention on Consular Relations (VCCR), personal inviolability was deemed so well established in customary international law that negotiators barely discussed its scope or formulation. The Conventions comprise, on the one hand, a special positive duty of protection and, on the other, a negative duty to abstain from exercising any enforcement right, in particular an arrest or detention of foreign envoys (Articles 29 VCDR and 40-41 VCCR). The obligations apply to state representatives on duty (e.g. the 2012 killing of the US Ambassador in Benghazi), in a private capacity (e.g. the 2016 crime of passion involving the Greek Ambassador to Brazil, his wife, and her lover), and even when it is unsure whether any violence has occurred (e.g. the discovery, on Election Day, of the lifeless body of a Russian consular attaché in his country’s consulate in New York and the sudden death of the Russian Ambassador to the UN after he had fallen ill behind his desk in the same city in February 2017). Inviolability is to be respected, in the first place, by the receiving state’s authorities. Any attack upon the person, freedom, or dignity of a diplomatic agent is prohibited, which implies that no arrest, abuse, or strip-search by armed forces or police officers can occur. As for consular officers, an arrest or detention pending trial is possible in case of a grave crime and pursuant to a decision by a competent judicial authority. But when can a crime of a state agent be attributed to his state? The 2016 Ankara and Brazil killings both feature a local police officer as the prime suspect; yet since both were off-duty and seemingly not acting under governmental instructions, their acts are likely be judged ultra vires. In cases where wrongful conduct is directly attributable, the diplomatic context calls for soft reparation measures rather than hard sanctions; think of a voluntary compensation or admission of guilt. 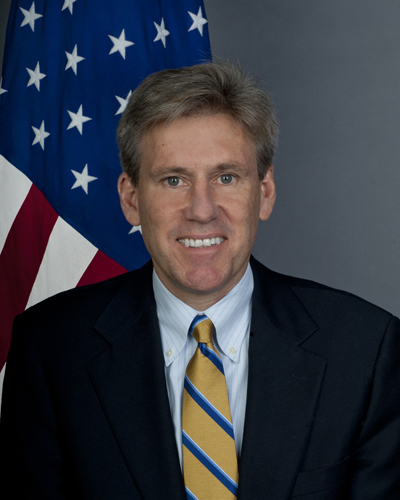 J. Christopher Stevens — United States ambassador to Libya from June 7, 2012 until killed in an attack on the US consulate in Benghazi, on September 12, 2012 by unknown. Public domain via Wikimedia Commons. When, in 2013 a Russian diplomat was detained for abusing his children in The Netherlands, then Foreign Minister Frans Timmermans publicly apologized to President Putin. Complicity or ill will on the part of a receiving state may be hard to prove. When a sending state perceives a provocation, it will thus commonly only communicate grievances through diplomatic instruments. In 2015, after American diplomats were drugged in a bar in Saint Petersburg, the US addressed its concerns in a note verbale. On the margins of this incident, the State Department’s spokeswoman also publicly reported the apparent increase of ‘harassment and surveillance of diplomatic personnel in Moscow by security personnel and traffic police’. A receiving state should not just abstain from harmful conduct; it also has to take preventive measures. This entails, as confirmed in the 2008 ICJ Djibouti v France Judgement (§174), the protection of envoys from attacks by individuals. The Vienna Conventions indicate that the precise content of this obligation depends on local circumstances and existing threats. For a long time, preventive and punitive measures largely differed across the globe. Following a sharp rise in (politically motivated) violence against diplomats, however, states adopted the 1973 UN Convention on the Prevention and Punishment of Crimes against Internationally Protected Persons, including Diplomatic Agents, which celebrates the 40th anniversary of its coming into force in 2017. In the Convention, an astonishing number of state parties (180) commit to criminalise attacks against the person or liberty of envoys (including murder and kidnapping), as well as the threat with, attempt to, or participation in such an attack. Moreover, states undertake to adapt internal laws to ensure jurisdiction and extradition. The 1973 Convention supplements the Vienna Conventions, so that states have to abide by diplomatic and consular law when preventing or prosecuting violence against envoys. Firstly, this necessitates that local authorities respect the inviolability of premises in which they wish to take investigative measures (22(1) VCDR/31(1) VCCR), which is pertinent in the case of the sudden deaths of Russian envoys in New York. Secondly, in the scenario of one internationally protected person attacking another, the Vienna Conventions remain relevant because the perpetrator will continue to enjoy inviolability and immunities preventing an arrest or trial (Article 32 VCDR; see the exceptions for consular officers in Articles 41(1)/45 VCCR). In the referred-to Brazilian crime of passion, an arrest was nevertheless made: as a Brazilian national, the Ambassador’s wife is not entitled to immunities in her home state (Article 37 VCDR). Recent episodes of violence confirm that diplomatic and consular agents experience all sorts of threats. Because the jeopardising of the safety of envoys creates a danger to the maintenance of normal international relations, the international community unrelentingly speaks out against it. States have, for good reasons, translated concerns in legal instruments that allow for coordination and harmonisation of measures targeting violence against those enjoying a special status under international law. Such efforts aim not only to protect individuals, but also the very functioning of diplomatic and consular regimes. Featured image credit: Meeting Vladimir Putin with Recep Tayyip Erdogan 2017-03-10 by Kremlin.ru. CC-BY-4.0 via Wikimedia Commons. Sanderijn Duquet is PhD Fellow of the Research Foundation Flanders (FWO), Leuven Centre for Global Governance Studies - Institute for International Law, University of Leuven (Belgium). Jan Wouters is PhD Jean Monnet Chair ad personam EU and Global Governance, full Professor of International Law and International Organizations, and Director of the Leuven Centre for Global Governance Studies - Institute for International Law, University of Leuven (Belgium). 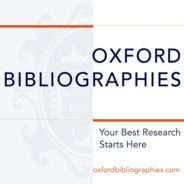 Together, they are the authors of the article “The Vienna Conventions on Diplomacy and Consular Relations” in the Oxford Bibliographies in International Relations.